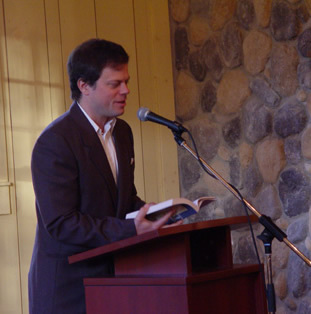 Stephen Henighan’s first published short story was accepted by Pierian Spring, a literary magazine in Brandon, Manitoba, when he was nineteen years old. Since then, whatever else he has been writing, there has always been a draft of a short story on his desk. As an undergraduate at Swarthmore College in Pennsylvania, Stephen won the Potter Short Story Prize, which that year was judged by the novelist Richard Price, beating out, among others, fellow undergraduate Jonathan Franzen, who came third. 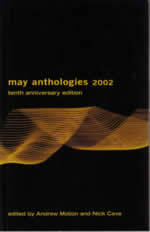 While a graduate student at the University of Oxford, Stephen became the first writer to place stories in three different editions of the annual May Anthology of Oxford and Cambridge Short Stories. The second writer to achieve this, one year later, was Zadie Smith. 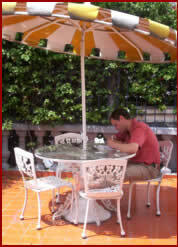 Stephen’s short stories have been published in many magazines and anthologies in Canada, the United States, the United Kingdom and Europe. “Blue River Hotel,” Ploughshares. Ebook, July 2017. Print: Issue #137 (Winter 2018-19), pp. 21-52. “Three Fingers,” Prairie Fire , Vol. 38 No. 2 (Summer 2017): 5-21. “The Telescope,” The Nashwaak Review, Vol. 34/35 No. 1 (Summer/Fall 2015), pp. 218-228. “Grade,” Numéro Cinq, Vol. 4 No. 5 (May 2013), 4pp. 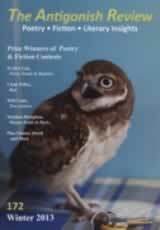 “My Soul Will Be in Paris,” The Antigonish Review #172 (Winter 2013), pp. 89-99. “How I Became a Muslim,” University Affairs Vol. 52 No. 5 (June-July 2011), pp. 20-23. “After the Hurricane,” Numéro Cinq, September 18, 2010, 7pp. “Terms of Surrender,” Ryga: A Journal of Provocations No. 1 (2009), pp. 83-88. 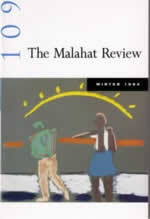 “Who Killed Martin Coombs?”, The Malahat Review # 167 (2009), pp. 69-87. “After the Hurricane,” Grain, Vol. 36, No. 3 (2009), pp. 28-35. “MacAnally’s Z,” [excerpt] Maryland High School Assessments (Princeton, NJ: Educational Testing Service, 2009). 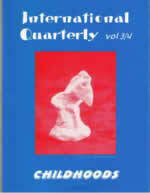 “Road Accidents,” The New Quarterly # 105 (2008), pp. 116-120. “La Santiaguera,” Descant # 134, Vol. 37 No. 4 (2006), pp. 56-73. “Motive ale exilului,” Lettre Internaţionale # 54 (2005), pp. 89-96 [Romanian translation, by Irina Horea, of “The Origins of Exile”]. “The Killing Past,” Prairie Fire, Vol. 26 No. 2 (2005), pp. 31-51. 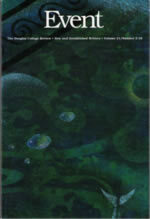 “Nothing Wishes to Be Different,” The Antigonish Review # 140 (2005), pp. 11-22. “Where Are You in America?” Prairie Fire, Vol. 26 No. 1 (2005), pp. 30-35. 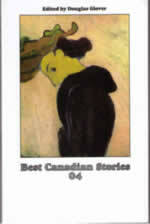 “The Breath of the Turtle,” Best Canadian Stories 04 (Ottawa: Oberon Press, 2004), ed. Douglas Glover, pp. 102-116. “The Breath of the Turtle,” Matrix # 64 (2003), pp. 47-50. “Femeia din Baku,” Lettre Internaţionale # 43 (2002), pp. 82-86 [Romanian translation, by Irina Horea, of “The Gentlewoman of Baku”]. “The Origins of Exile,” The May Anthologies: Tenth Anniversary Edition (Cambridge, U.K.: Varsity/ Cherwell, 2002), eds. Andrew Motion and Nick Cave, pp. 137-152. “The Reverse Wedding March,” Carousel # 13 (2001), pp. 108-115. “Miss Why,” Queen Street Quarterly, Vol. 4 # 3 (2000), pp. 55-60. “North of Tourism,” International Quarterly, Vol. 3 No. 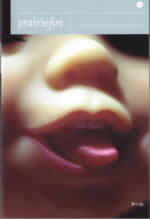 4 (2000), pp. 94-100. “Two Pleas,” Queen’s Quarterly, Vol. 105 # 3 (1998), pp. 458‑464. 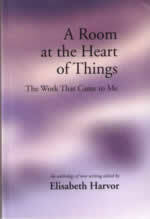 “The Farm,” A Room at the Heart of Things: The Work That Came to Me (Montréal: Véhicule Press, 1998), ed. Elisabeth Harvor, pp. 78‑83. 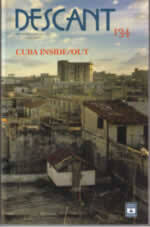 “Nights in the Yungas,” What Is Already Known: 20th Anniversary Anthology (Saskatoon: Thistledown Press, 1995), ed. Seán Virgo, pp. 254‑257. 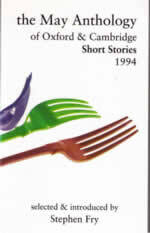 “The Tongue Below,” The 1995 May Anthology of Oxford and Cambridge Short Stories (Oxford: Varsity/Cherwell, 1995), ed. John Holloway, pp. 1‑16. “The Meaning of an End,” The Malahat Review # 109 (1994), pp. 59‑69. “The Origins of Exile,” The 1994 May Anthology of Oxford and Cambridge Short Stories (Oxford: Varsity/Cherwell, 1994), ed. Stephen Fry, pp. 93‑118. “The Border,” 32 Degrees: Prose, Poetry and Drama from Concordia University’s Creative Writing Program (Montréal: DC Books, 1993), ed. Raymond Beauchemin, pp. 232‑238. “Moving Houses,” The 1993 May Anthology of Oxford and Cambridge Short Stories (Oxford: Varsity/Cherwell, 1993), ed. Michael Dibdin, pp. 41‑51. “The Progression of Celibacy,” Event, Vol. 21 # 2 (1992), pp. 7‑11. “Casualties,” Scrivener # 16 (1991‑1992), pp. 43‑46. “Small Exposures,” Zymergy, Vol. 5 # 2 (1991), pp. 83‑89. “Ida,” Zymergy, Vol. 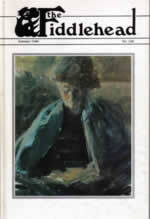 3 # 1 (1989), pp. 89‑95. 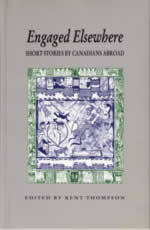 “Cochabamba,” Engaged Elsewhere: Short Stories by Canadians Abroad (Kingston, Ont. : Quarry Press, 1989), ed. Kent Thompson, pp. 95‑107. “MacAnally’s Z,” Telling Differences: New English Fiction from Quebec (Montréal: Véhicule Press, 1989), ed. Linda Leith, pp. 64‑70. “The Border,” Amelia, Vol. 5 # 2 (1988), pp. 104‑109. “MacAnally’s Z,” Canadian Fiction Magazine # 63 (1988), pp. 64‑70. “Nights in the Yungas,” Souvenirs: New English Fiction from Quebec (Dunvegan, Ont. 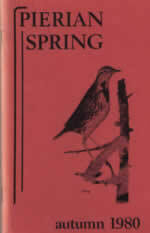 : Cormorant Books, 1987), ed. P. Scott Lawrence, pp. 80‑85. “Inside,” The Moosehead Review # 9 (1986), pp. 43‑44. “Cochabamba,” The Fiddlehead # 148 (1986), pp. 50‑59. “The Voice of the Artist,” Waves, Vol. 14 # 1 & 2 (1985), pp. 33‑36. “The Sun of Coricancha,” Descant # 38, Vol. 13 No. 4 (1982), pp. 39‑41. “Adrian and Oliver,” Pierian Spring, Vol. 5 # 3 (1980), pp. 32‑37.